How to Fix Common Mistakes in Magento SEO – Are you looking for the best ways to fix common mistakes in Magento SEO? If yes, then this is the right place to be in. It is very common to make mistakes while doing SEO for Magento. But the important thing is that you should have the knowledge to fix those mistakes in order to get satisfactory results. Here, we will discuss some of the methods to fix the common mistakes in Magento SEO. Search engine optimization is one of the most effective and easiest ways to run your online store. If you have enough knowledge about SEO then you can get the desired results. 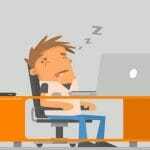 But it can be challenging and tough for those who know little about doing SEO for Magento. 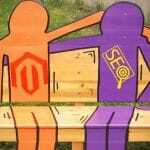 What are the common mistakes in SEO for Magento? Now, you must be wondering what could be the common errors that we make while doing search engine optimization for Magento. Well, there is more than one mistake and we should definitely avoid them to get better results. If you are not aware of them and accidentally committing these mistakes then it is high time to brush up your knowledge. Below mentioned are some of the most usual mistakes that we come across while SEO for Magento. Giving Home the title to the home page is one the stupidest mistake anyone could make. The homepage is basically a CMS page which should be given an attractive and unique name. Using the default description field and also filling the keywords section with useless keywords like commerce, Magento etc. Not turning on the rel= canonical. You can save yourself from the duplicate contents by turning it on. Forgetting to turn meta robots to index or follow and remove robots.txt disallow after a move from the staging site to the live site. Layered navigation is the most common and you should avoid it anyhow. Creating a sitemap for the sample products and sample categories. If you are experiencing low traffic and low response from the audience then you are definitely doing something wrong in the SEO. Here, we have brought you some of the best methods to fix the common mistakes while doing SEO for Magento. Scroll down to check them out. The first and main thing you have to do is to change all the configuration and default settings. The default settings of Magento is of no use when it comes to SEO. Therefore, it is recommended to change them to get better results. 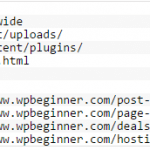 If you change the URLS and delete pages without properly redirecting them then you will create trouble for you because your website will end up showing 404 messages. To avoid this you can go to the system and then Configuration, then Catalog, and Create Permanent Redirect for old URLs. You will have to change the name of the product image and add alt tags because Magento does not do it on its own. It is important because doing it in the right way will bring you more quality traffic and better ranks. Each of your Magento pages should be unique with meta tags. Therefore, it is recommended to you to not use default description. You should have URL in every language in order to reach an audience. Make sure you do it for all the product pages. Load speed is one of the most important factors that brings good leads and ranking. Therefore, it is important to make sure that you are doing the optimization well. Product Sorting can increase the effectiveness of your online product catalog and can increase your conversion rates also. So, I hope this might have been helpful for you in every aspect. 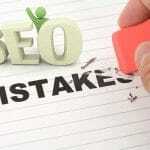 SEO is very important and effective as well but only without errors or mistakes. 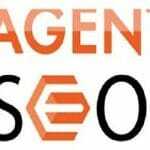 Therefore, if you have Magento and you want to do SEO for it then either hire a professional service provider or follow the aforementioned steps.